It really is a cliffhanger isn’t it? I saw it at Japanese broadcast time without subtitles and later with Japanese subbies, and greenies! My heart was in my mouth the first time and even in my mouther the second! It is hard to be sure Regina-san has really reformed, isn’t it? Why has she lost her powers? Because they were connected to her selfishness? Or was it something to do with seeing the Princess – or maybe both since seeing the Princess was what seemed to change her. I’m betting the new Precure will be Regina. It’s kind of a scary thought though, isn’t it? And what will her fairy be like? 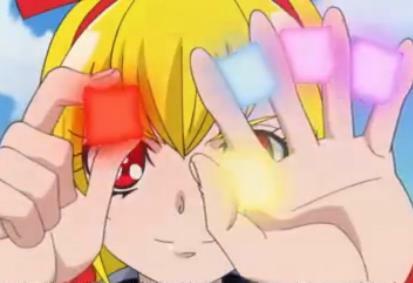 And does the Fate that chooses Precures know that they will stay good? The existing ones I think are fundamentally incorruptible. But what about Regina-san? Oh, I know. This is really exciting. Once Sieren became a Precure in Suite Precure, she was VERY solid. Regina-san does a lot more waffling back and forth than Sieren ever did, and she also seems much less mature than Sieren. Sieren was actually rather grown up in many ways, whereas Regina-san has the moral maturity of a very, very small child. Oh oh! I just watched episode 21. It is getting very exciting. The Precures have both Regina-chan AND the Princess! 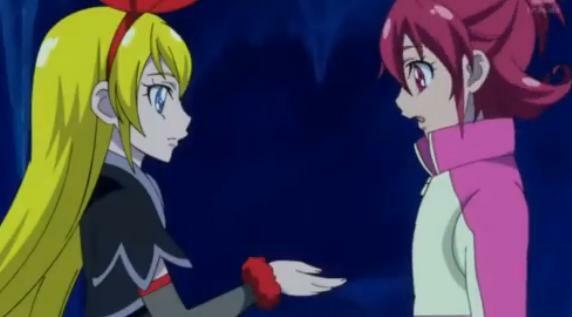 It is interesting that Regina-chan had to be willing to sacrifice herself to save Cure Heart. 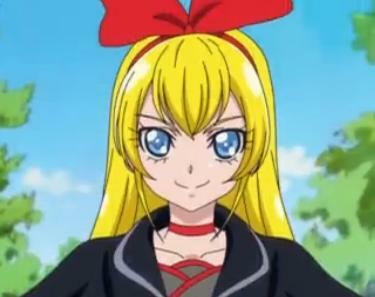 From the trailer to episode 22, it is looking more and more like Regina-chan will become the new Precure! Oh my, this is really becoming interesting! It looks like Regina-san is NOT the new Precure! Regina-san was re-corrupted by her father, King Selfish. I wonder who Cure Ace is?